“Thanks Richard, I’m still on Cloud 9! 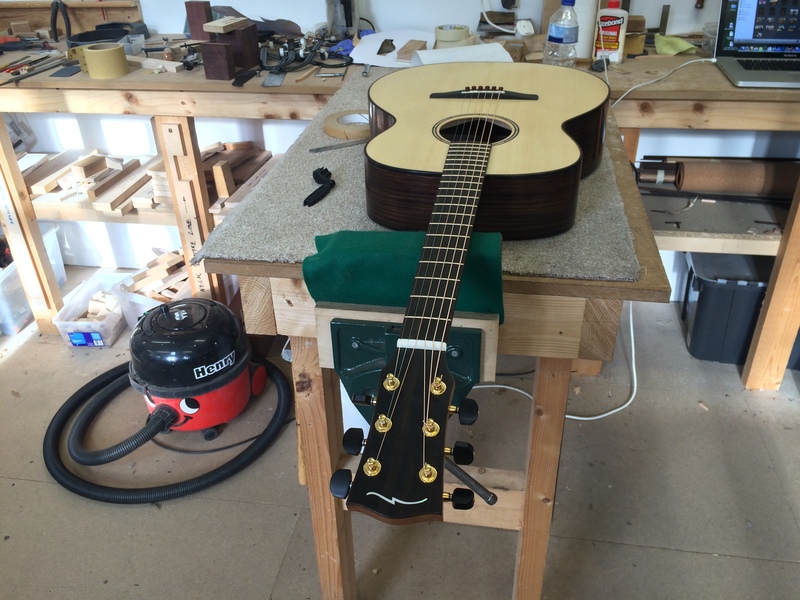 This guitar was built on my May guitar making course this year. 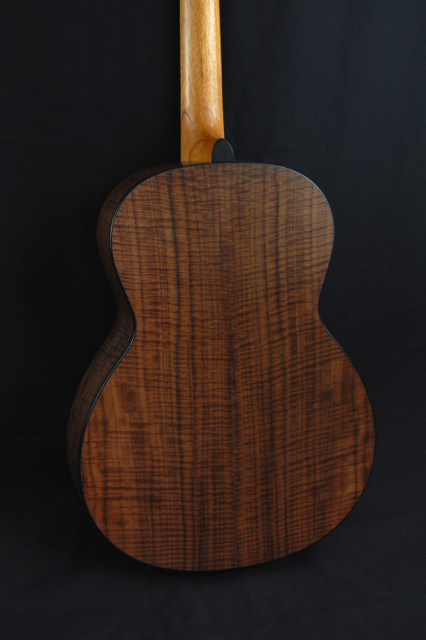 A beauty in Western Red Cedar and Claro Walnut. The model is my smallest – the ‘Lacewing’. 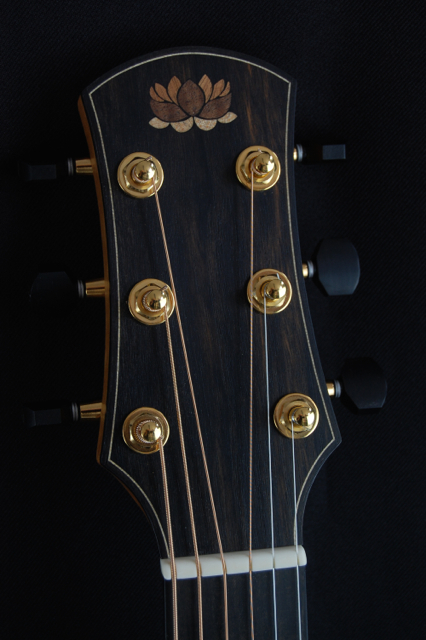 Note the beautiful pierced and inlayed wooden logo. A pro Jewellers’ touch! 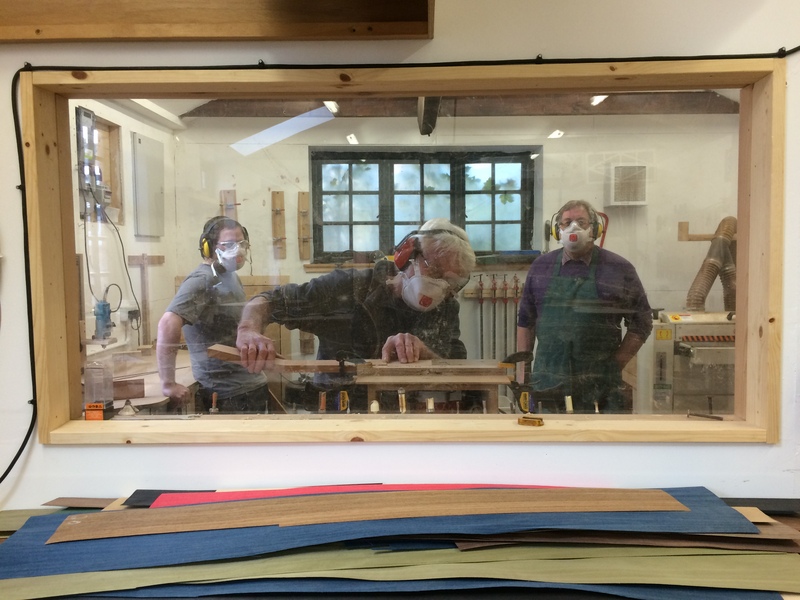 My October course is full so note new dates for Spring 2016. 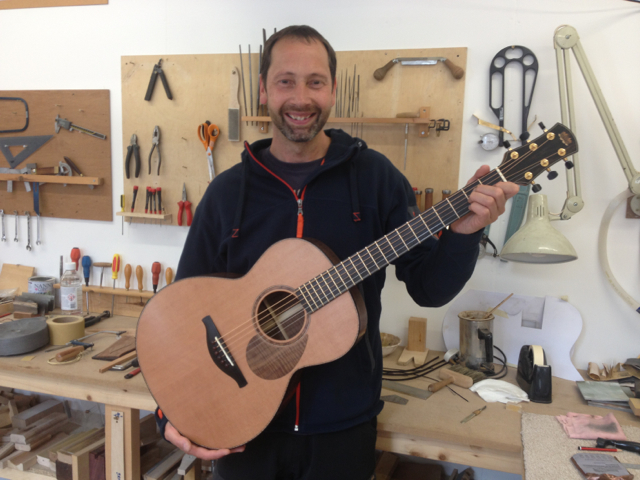 My first guitar building course student in Wales has finished and what a lovely guitar he made too. 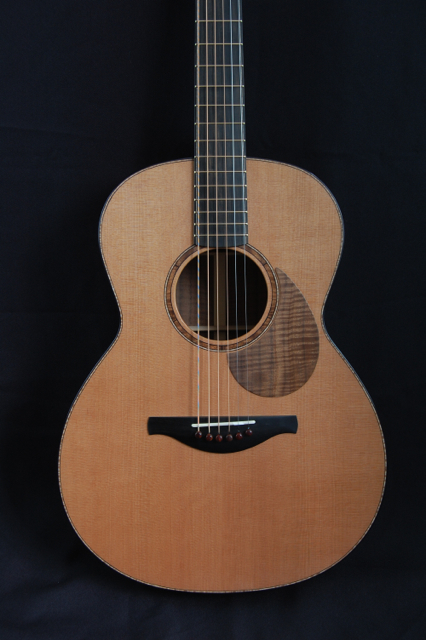 Great warmth, balance, projection and harmonics. Just right for the Tommy Emmanuel stuff he was learning. 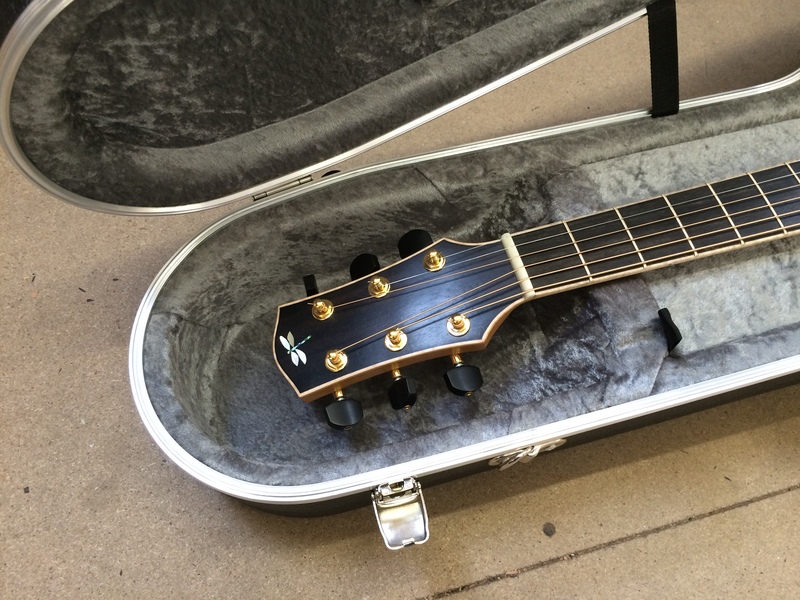 Lovely attention to detail also with head and fingerboard binding and logo inlay. With some stunning April weather, he had a great time here in the hills of Mid Wales. I’m onto the next one now! 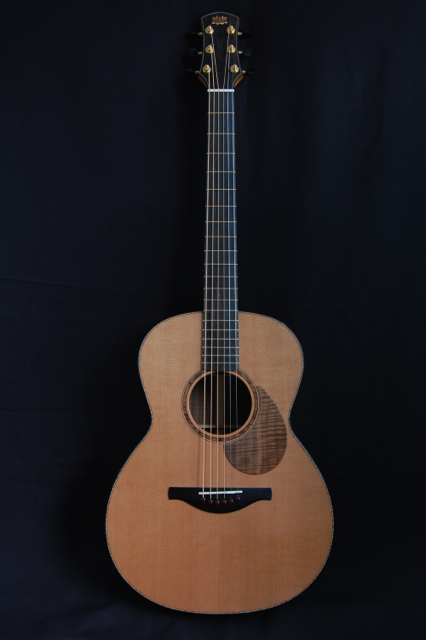 Just caught the BBC Radio 2 Folk awards on iplayer and saw one of my guitars (Cedar and Koa Damselfly) being played by Calum McColl with Guy Garvey from Elbow on a Tribute to Calum’s Dad, Ewan McColl. They did a version of Ewan’s classic, “The first time ever I saw your face”. Hi Folks, I’m happy to announce that I have now officially relocated! 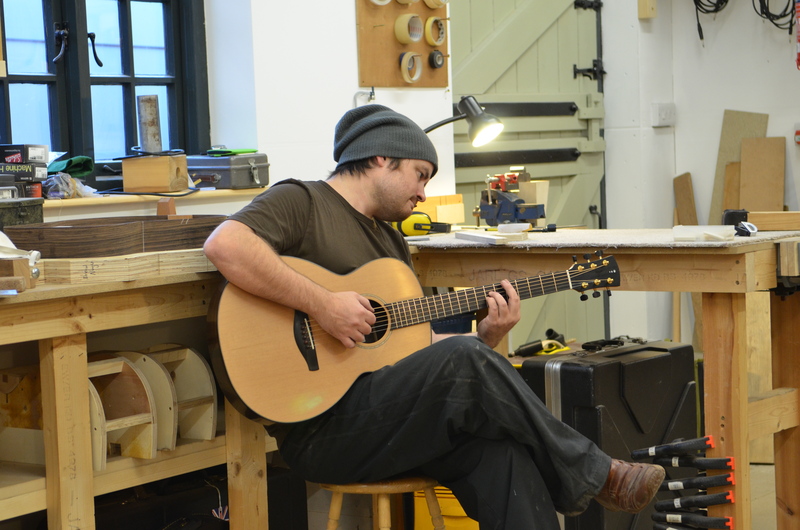 I am in the second full week of my first guitar making course in my new Mid Wales workshop. 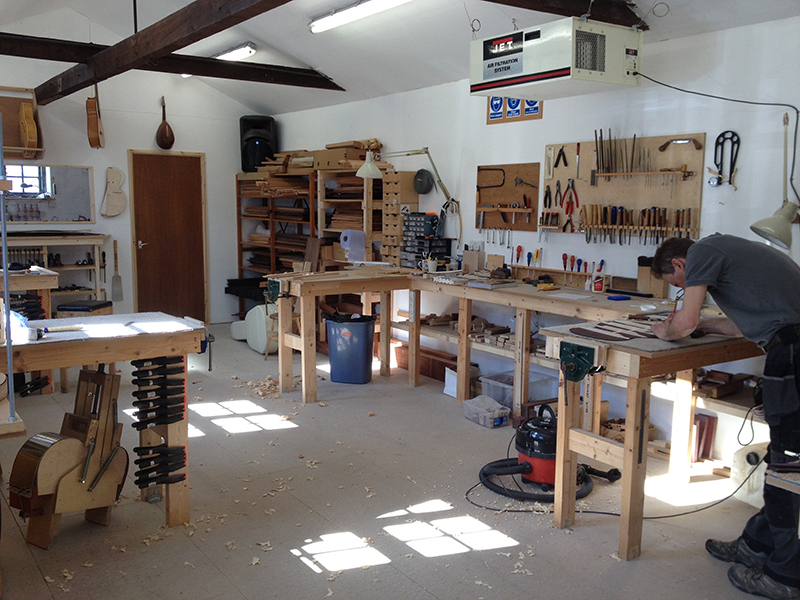 It is a one-to-one with a student who’s travelled from Surrey for the month and alongside this i’m making a new batch of instruments and getting to know my way around my more spacious premises! I am really enjoying the new setting and it’s perfect for my courses with a more efficient layout, great natural light and fab kitchen facilities to boot. I’m also right in town with cafes and shops right on the doorstep. We’ve had wonderful weather too this Spring which really shows off the majesty of the surrounding mountainous landscape. 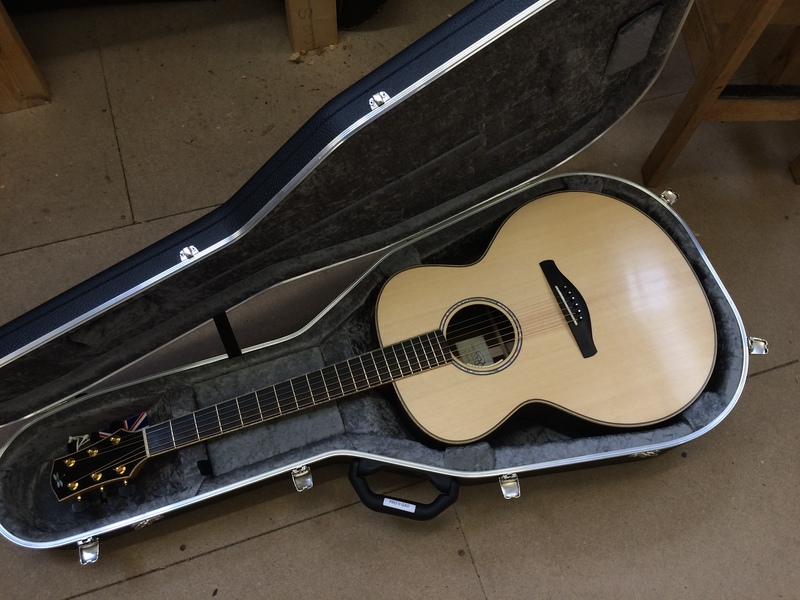 I’ve already had customers visit from my old Sussex area and have taken them to sample one of the regular evening folk sessions in town – there are some great musicians up here in the hills! Let me know if you want to make the trip and I can always help advise on accommodation etc. 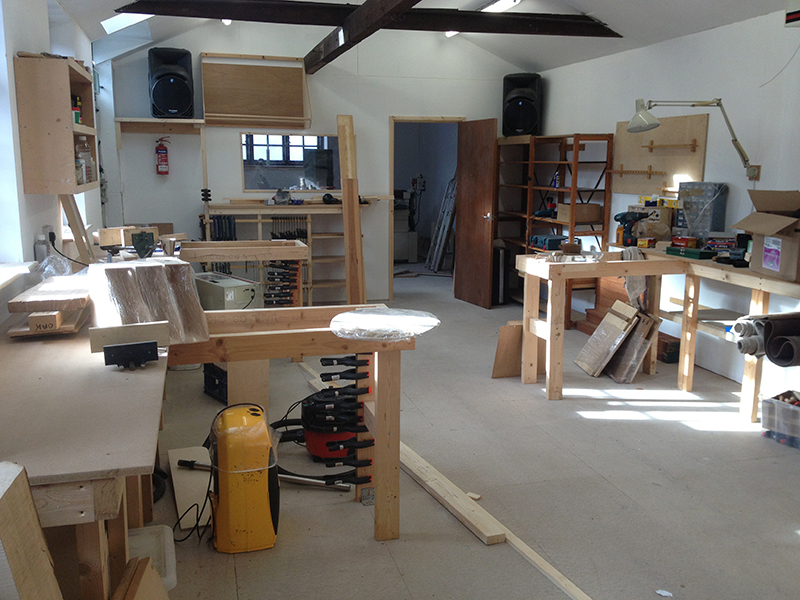 My new guitar making workshop! Not far to go now and I’ll be up and running again. 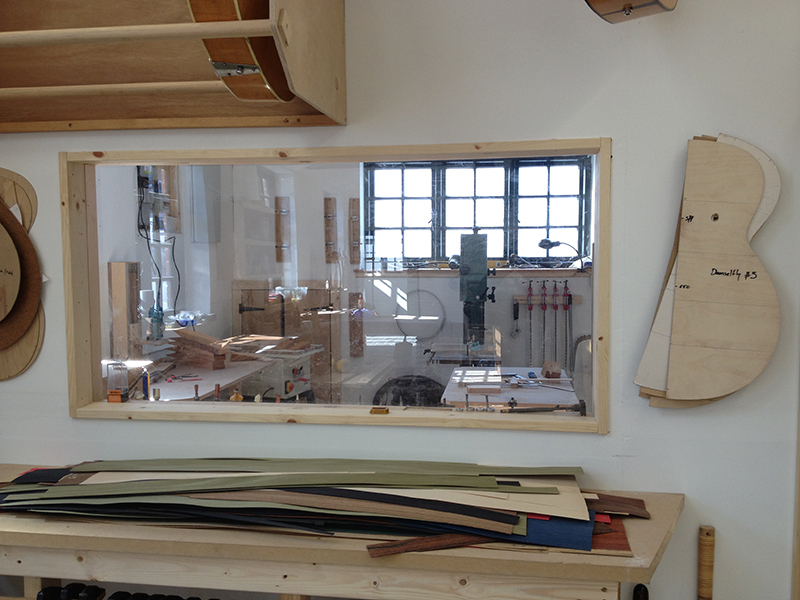 After four months of waiting, I’m looking forward to getting back to the bench. 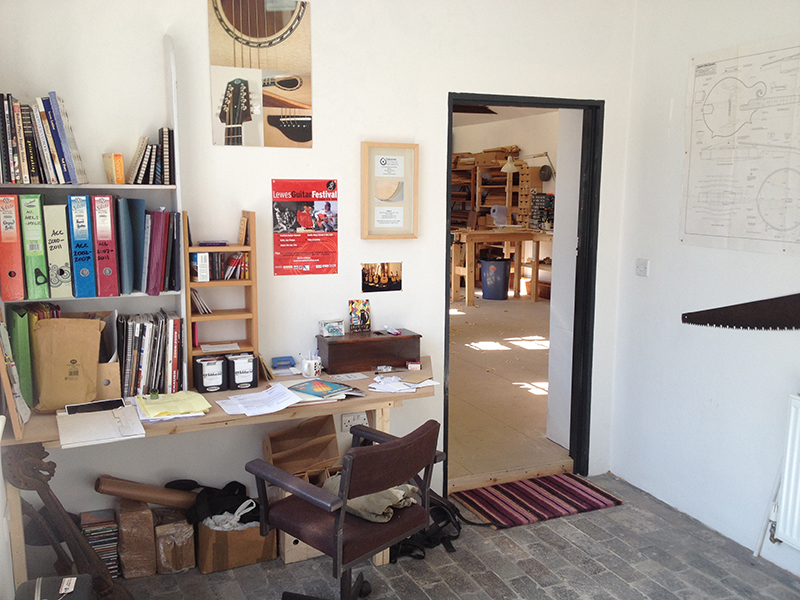 Announcing an Autumn One-Month Guitar Making Course 2015. September 24th – October 24th. One place booked already so two places now up for grabs.